On this day in dinosaurs, we look at what paleontologists are calling “a golden age” for dinosaur discovery. For the past half decade, a new dinosaur species has been described every week on average. That’s not a new dinosaur skeletal discovery, mind you. That’s a dinosaur that is completely new to science. Because of this colossal increase in discoveries, more dinosaurs have been named in the past 20 years than were named in the previous century. Why has such a dinosaur bonanza emerged from the earth in recent years? Experts cite a number of reasons: more professional paleontologists are scouring the planet, treasure troves of fossils have been uncovered in new localities around the world (as in China and South America), and more care is being taken to find smaller dinosaurs (where previously, large specimens were prized for mounting in museum displays). Technology has improved as well, making it easier for paleontologists to find rocks of the right age. 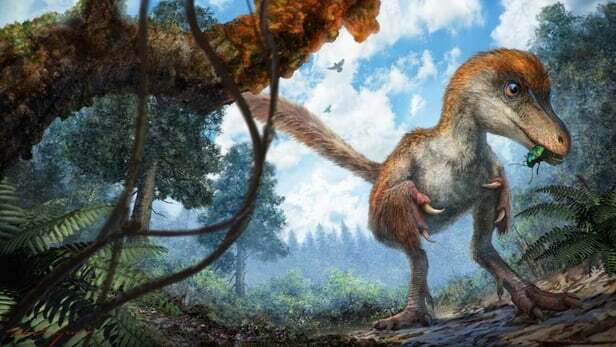 But many of the scientific developments have come from an resurgence of public interest in dinosaurs–what some have called “The Jurassic Park Effect.” Since the late ’80s and early ’90s, dino-mania has been steadily building. The Jurassic Park movie franchise (and associated merchandise marketing efforts) has invigorated innumerable youngsters with the excitement of the Mesozoic marauders. More youngsters are turned on to paleontology, and so more pursue the profession as adults. With dinophiles of all ages continuing to foster a love of dinosaurs at natural history museums and cinemas across the globe, research funding for new dinosaur science has also increased. As our modern world is continually threatened by the activities of our own species, we look to the past for both natural solace in the rhythms of nature and also, for possible glimpses into what the future may bring. Non-avian dinosaurs existed in excess of 160 million years. Birds have persisted for another 66 million, into the present day. Humanity has survived for only a fraction of that immense time. If we can avoid the pitfalls of our own evolutionary tendencies and cultural development, we can continue to find scores of new dinosaurs hidden in the Earth. By many estimates, we have discovered only a small number of the total dinosaur species that once existed. Think of the wonders we have yet to unearth as this era of dinosaur discovery continues in earnest. We are fortunate to live in such exciting paleontological times!